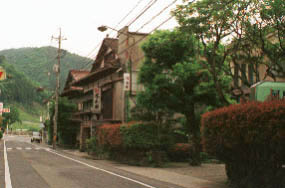 Yoshiikawa and a Ryokan town. 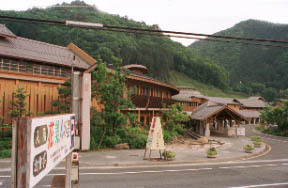 A hot spring resort flower beauty's village. 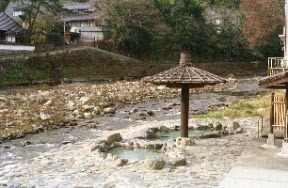 The open bath where step washing is performed. 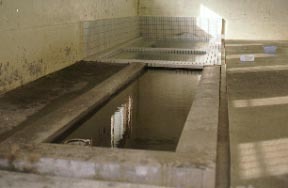 The free public bathhouse and the bathtub of the lower berth are used as washing space. 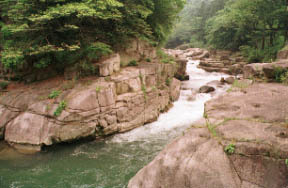 The scenic spot of the Yoshiikawa lower stream where a hole is seen, an "okutsu ravine"